Daxor launches a new and innovative medical device to compute the blood volume so as to provide better healthcare services. Headquartered at New York City, a ground-breaking new medical instrumentation and biotechnology company, Daxor, has recently published some very exciting new data for their leading technology, named as the BVA-100 blood volume analyzer. The new technology has been intended to compute the total blood volume circulating, plasma volume, and red cell volume with about 98% accuracy and all this will be done with the help of a simple, rapid blood test conducted in both inpatient and outpatient settings. The BVA-100 Blood Volume Analyzer measures the volume of blood circulating. The test employs the indicator tracer dilution technique and is regarded as the gold standard for accuracy. 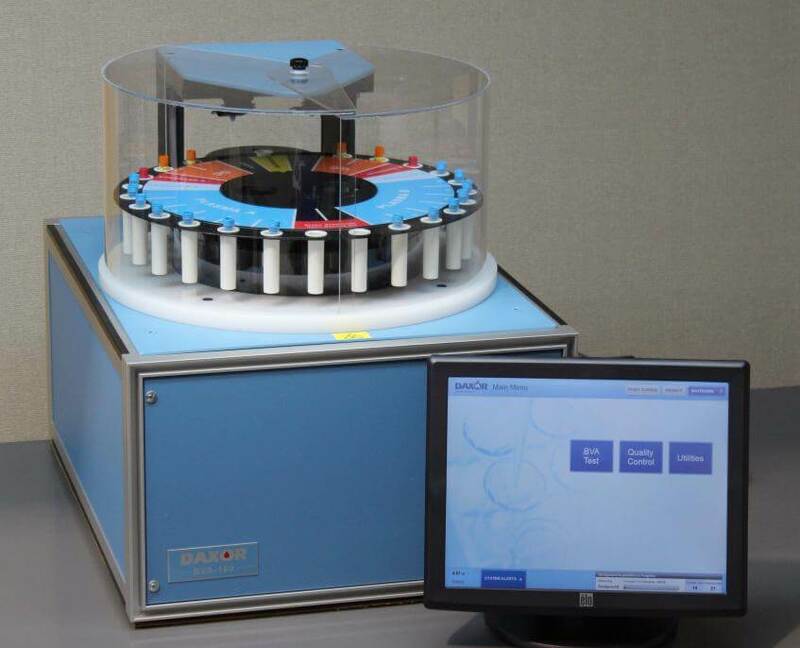 The BVA-100 was particularly intended to by design compute the patient’s blood volume by using a concentration of undiluted HSA-I tracer preceding injection into the patient and then comparing it with the tracer concentration diluted in the blood sample of the patient. After that, a comprehensive report is produced that shows the total blood volume, red blood cell volume, and plasma volume in millilitres, and the results become accessible in less than an hour or 60 minutes. The BVA process is 98% accurate as compared to the dual isotope method. Retaining normal blood volume is important to ensure that all the vital organs are getting proper oxygen. The total blood volume levels including the primary constituents of blood, plasma, and red blood cells, can at times be too high or too low based on the various medical conditions including congestive heart failure, blood loss, hypertension, chronic fatigue syndrome and more. To measure blood volume correctly and quickly makes it easier to get a more specific diagnosis for the treatment of blood volume and red blood cell irregularities. According to what was said by Michael Feldschuh, the CEO of Daxor, heart failure is one of the key areas of healthcare with the largest spending. It is also one of the major treatment challenges for about 6 million U.S. patients, which is likely to double as the population will grow old. He further added that the BVA-100 provides a fast, affordable, and non-invasive way to measure blood volume status and composition, and it will help in attaining better outcomes for the patients with heart failure issues. Based on the data published in the Journal of the American College of Cardiology — Heart Failure, there was an 82% mortality and 56% reduction in rehospitalization of the patients in just about 30 days after the therapy using the BVA-100 was applied in patients who were having acute heart failure problem. Currently, the BVA-100 is the only instrument which has been cleared by the FDA so as to provide a quick and direct measurement of a patient’s blood volume. The company is mainly looking forward to helping hospitals and medical practitioners with incorporating Daxor’s advanced technologies into helping with improved patient care and better healing outcomes.